1. Unsolicited submissions are accepted year-round. There are no set guidelines as to content or length--however, our Submission Manager requires that uploaded files be less than 500 KB. Anyone wishing to send a story to American Short Fiction should first become familiar with the work previously published by the magazine. Our standards for acceptance are extremely high. Sample copies and subscriptions are available for sale through our publisher's online store. 2. 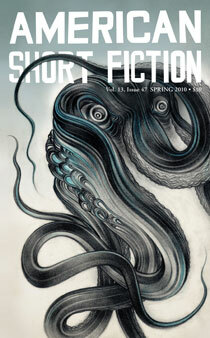 Short fiction submitted to the magazine must be original and previously unpublished. All manuscripts must be typed and double-spaced, with the author's name, address, phone number, and approximate word count at the top of the first page, and numbered throughout. 3. Send only your best work. Submit only one story at a time. Please first pay the $2 submission fee (click here to do so) before submitting your work. 4. We are not accepting paper submissions at this time. All paper submissions will be recycled upon receipt, unless an SASE with full postage for ms return is provided. 5. All manuscripts must be written in English. Translations are acceptable, but must be accompanied by a copy of the original text. 6. We will read and consider simultaneous submissions, on the condition that the author notify us immediately, by telephone or email, if the manuscript is accepted for publication elsewhere. Submitters may also opt to withdraw submissions through the Submission Manager. 7. Payment is competitive and upon publication. American Short Fiction purchases first serial rights. All rights revert to the author upon publication. 8. The editors aim to respond to manuscripts in a timely fashion, and ask that you wait a minimum of four months to send follow-up inquiries. Please send inquiries by email to editors[AT]americanshortfiction.org and include the phrase "Submissions Inquiry" in your subject line. 9. As the name indicates, American Short Fiction does not publish poetry, plays, nonfiction, reviews, etc. The magazine charges $2 per submitted story. They also have a short story contest that will begin September 15, 2010. What a neat cover for a magazine!